High-quality HP stand for two LCD displays with VESA mount and a practical cabling system. It is possible to attach displays with a screen size of up to 24", which can be individually rotated, height and depth adjusted, and tilted. Using two displays makes it even more efficient to use your computer or laptop. It's great for viewing multiple pages, playing videos, gaming, and doing many other popular activities at the same time. For shipping to other EU countries visit this page HP Adjustable Dual Monitor Stand. 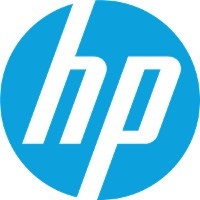 Für Versand nach Deutschland, besuchen Sie bitte HP Verstellbarer Doppelbildschirm-Standfuß. Chcete doručit zboží do Česka? Prohlédněte si HP Adjustable Dual Monitor Stand. Chcete doručiť tovar na Slovensko? Prezrite si HP Adjustable Dual Monitor Stand. Für Versand nach Österreich, besuchen Sie bitte HP Verstellbarer Doppelbildschirm-Standfuß. Magyarországra történő kiszállításért tekintse meg ezt a termékoldalt: HP Adjustable Dual Monitor Stand.